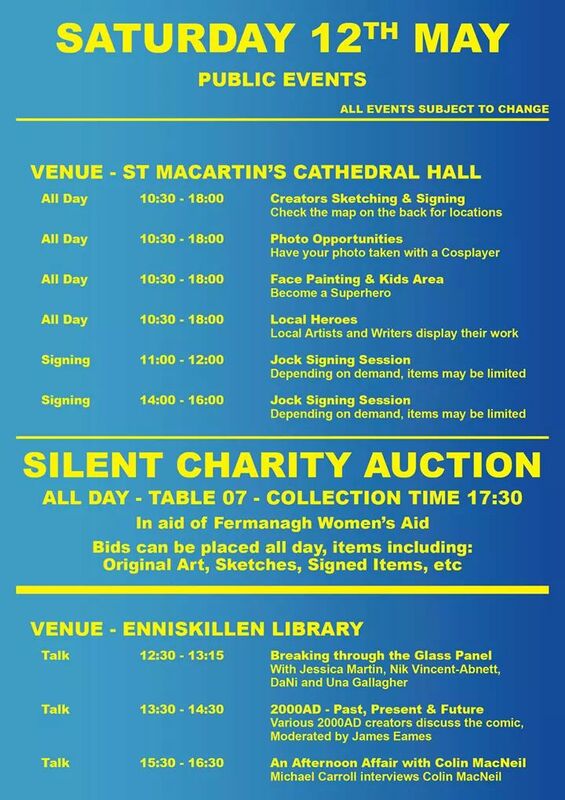 Enniskillen Comic Fest returns for another year of excellent Comic Book revelry. This year Rogue Comics is going all out for the show, with an entire Rogue Squadron of creators appearing such as Ciarán Marcantonio (writer / Editor-In-Chief), Kevin Keane (Artist / Art Director), Gillian Dempsey (Editor), Cormac Hughes (Artist), Clare Foley (Artist), Colm Griffin (Writer/ Artist), Ellen O'Callaghan (Rogue Roadie) & Nessan Hughes (Rogue Bouncer). All will be promoting and sell their work. Expect the full Rogues Gallery of books to be available on the day featuring Red Sands, The Broker, Ocean City and La Grande Breteche. There may even be some exclusive Neon Skies prints available! You can find us at table 25-27 in the Main Hall, be sure to drop by and check us out especially if you're an aspiring comics creator. There's nothing we love more than meeting up and coming creators looking to show off their work so make sure to bring your portfolios! 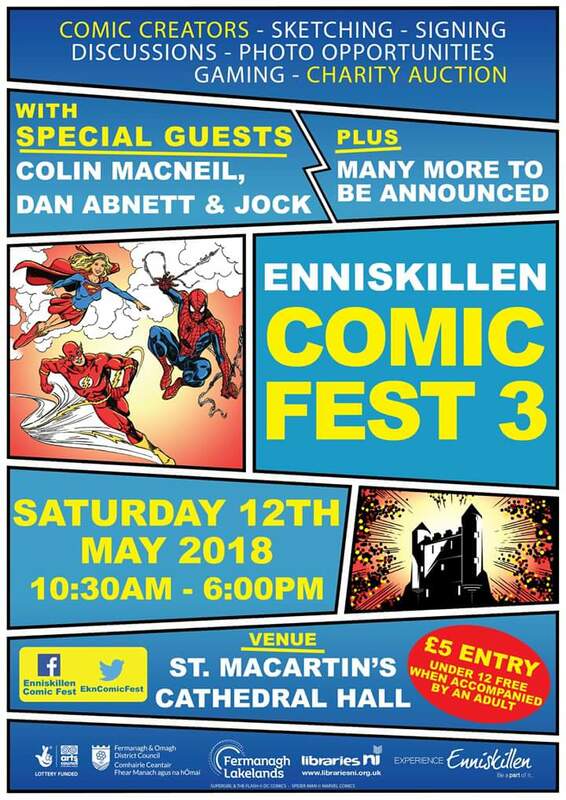 But if we aren't enough to tempt you to come to the show, Enniskillen Comics Fest 3 has a pretty stacked guest list featuring many comics titans, workshops, talks and even a special sit down Q&A on Friday evening between the legendary Dan Abnett and Rogue Comics own father figure Michael Carroll .Just check out the gallery below for the full line up and timetable of events. 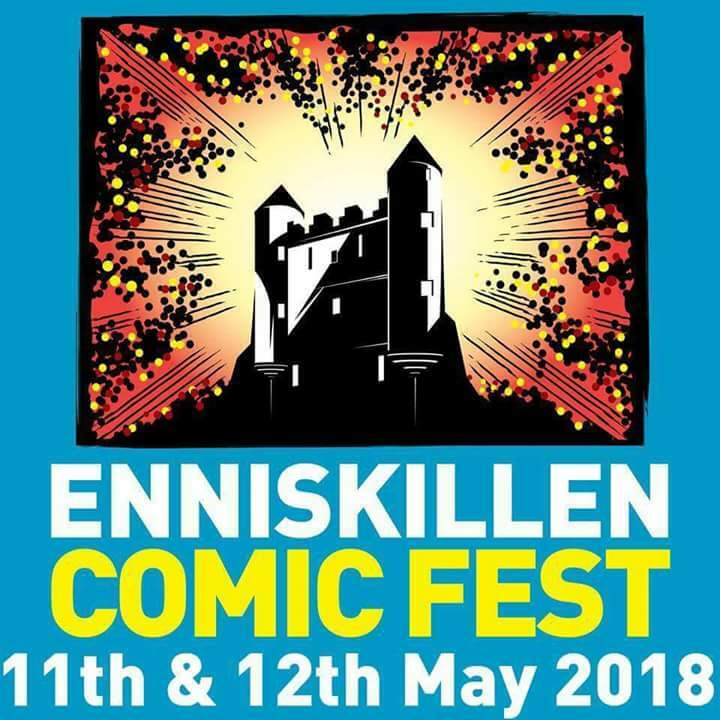 Get yourself to Enniskillen for a fantastic weekend of comics.